Back in 2009, Ubisoft had to make a momentous decision regarding the future of the Assassin’s Creed franchise: whether to keep the medieval setting of the first Assassin’s Creed game and its protagonist Altair, or go for a new setting with the game’s sequel. 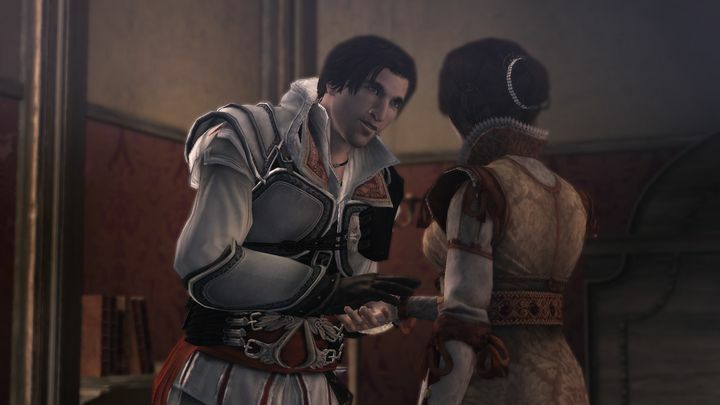 In the end, Ubisoft chose a new setting for Assassin’s Creed II, the Italian Renaissance, and a new protagonist for the game, the cocky womanizer Ezio Auditore. This turned out well for the French company, as Assassin’s Creed II became a major hit for Ubisoft and is arguably the best game in the franchise to date. Assassin’s Creed II had a great conspiracy-filled plot set in 15th Italy, in which protagonist Ezio was on a mission to avenge his family after they were betrayed by the Templars, joining the Assassin order in a story that took him to Italian cities like Florence, Venice and Rome (which were beautifully recreated in the game). Ezio Auditore from the Assassin’s Creed games is one of gaming’s greatest characters. The Ezio Auditore character proved so popular that Ubisoft released another two games starring Ezio. 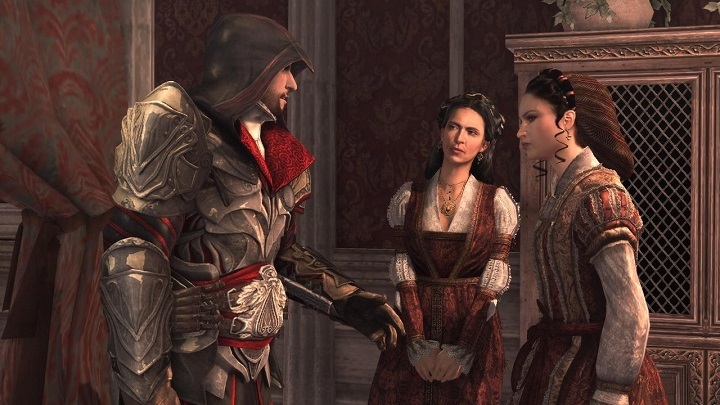 One was Assassin’s Creed Brotherhood, a good follow up to Assassin’s Creed II set in the city of Rome, in which Ezio could recruit fellow Brotherhood assassins and send them on missions as he continued his vendetta against the evil Templars and the Borgia family. The other was 2011’s Assassin’s Creed Revelations, which was set in the Middle East, in the ancient city of Constantinople. Revelations biggest novelty was that it let gamers play as Altair again (the protagonist of the first Assassin’s Creed), and also introduced a few new interesting characters like the librarian Sophia and new gameplay ideas such as zip lines to traverse the city. It is not surprising then, that Assassin’s Creed has become such a successful franchise over the years in no small part thanks to the success of the games featuring Ezio Auditore, and the character’s charm and appeal. Actually, the Assassin’s Creed series has now sold more than 100 million copies to date, so it’s not surprising that Ubisoft recently announced that Assassin’s Creed: The Ezio Collection will be hitting the shelves this November. Assassin’s Creed The Ezio Collection includes updated editions of the three major games featuring Ezio Auditore: Assassin’s Creed II, Assassin’s Creed Brotherhood and Assassin’s Creed Revelations, plus their single player expansions. Also included are a series of short movies that Ubisoft released featuring the character, including Assassin’s Creed Embers, which provide additional information about this much-loved character. Sadly though, the multiplayer component of both Brotherhood and Revelations won’t be available in these updated editions of the games. The games in The Ezio Collection will also feature enhanced graphics on both the PS4 and Xbox One, although Ubisoft is cautiously avoiding the use of the word “remaster” here. But it is likely that the updated versions of the games will offer graphics comparable to the PC versions, and actually the French company has not announced a PC version of The Ezio Collection, suggesting the games won’t look any better than the PC versions released back in the day. But still, PS4 and Xbox One owners will likely be delighted to be able to replay the classic Assassin’s Creed II and the other Ezio games on their consoles. And this game collection will surely keep many Assassin’s Creed fans happy until the next game in the series hits the shelves, or at least until the eagerly anticipated movie based on the games comes to theatres this December. Note: Assassin’s Creed The Ezio Collection will be released on November 15. Available on PS4 and Xbox One.